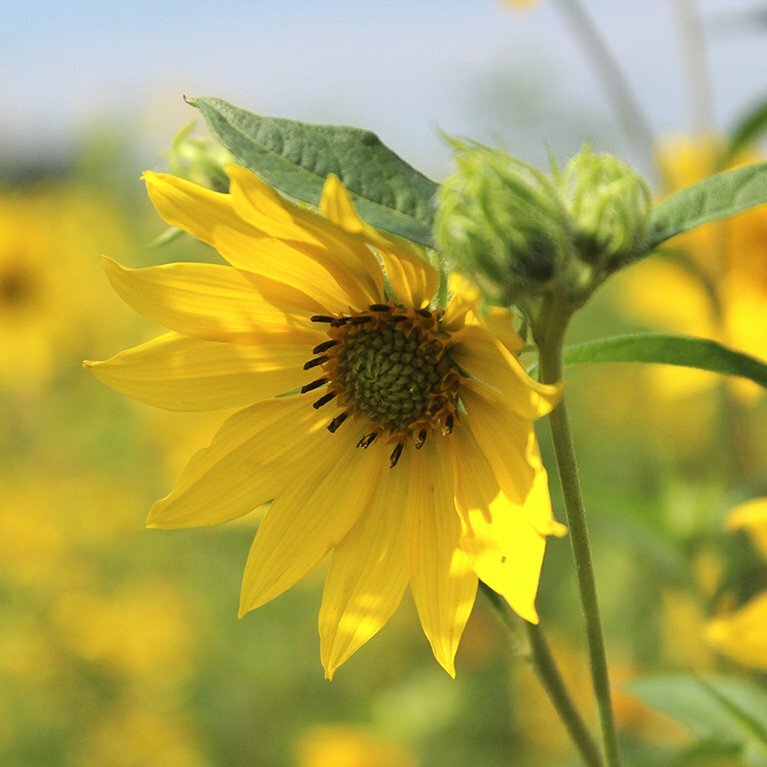 Our most popular, showy wildflowers for a spot that is sunny, at least most of the time. 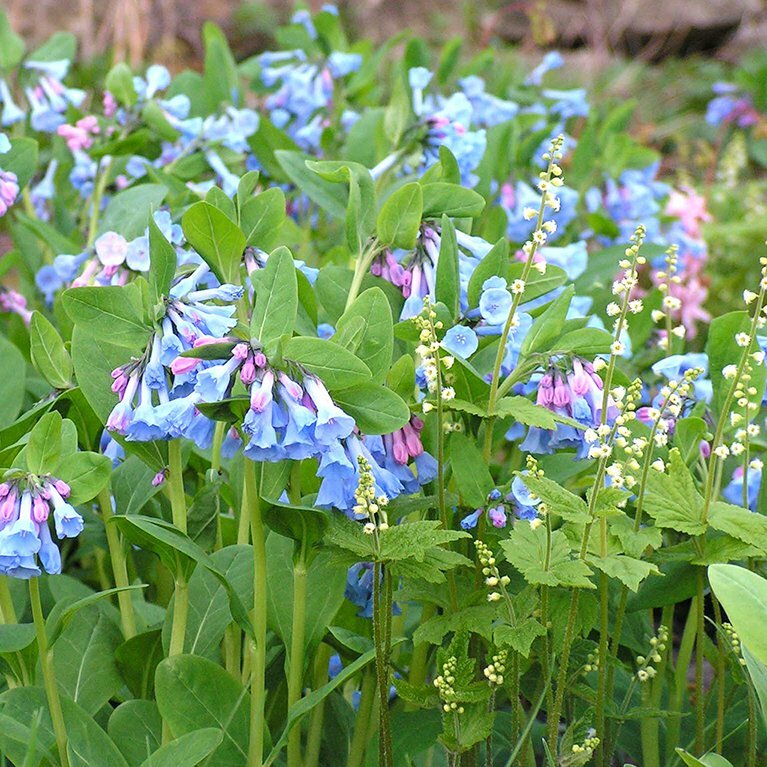 Beloved woodland wildflowers for shade gardens, restorations or just that spot under a tree. 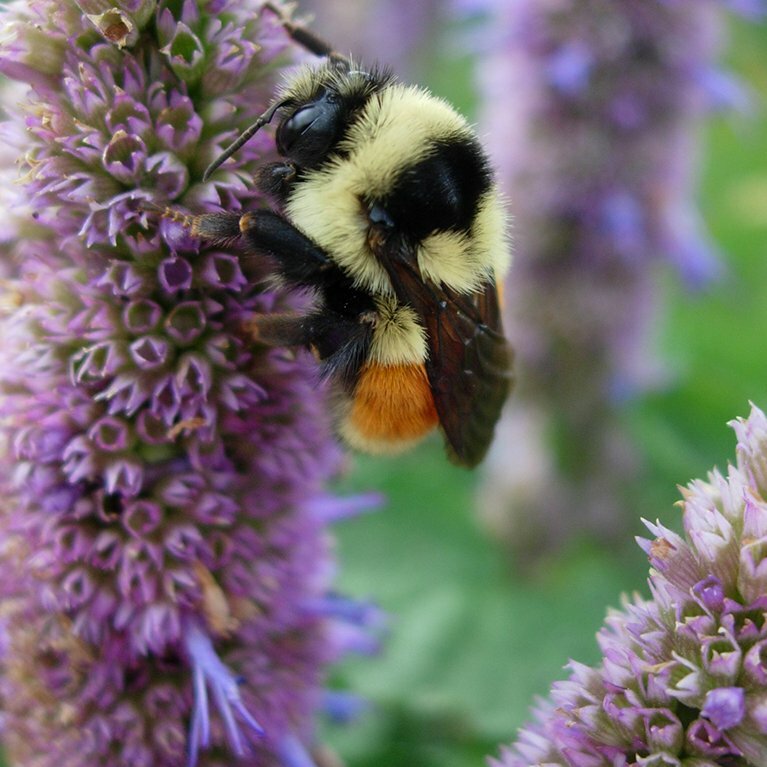 Attracting birds, butterflies & bees is easy if you choose the plants they need. GO NATIVE! Tired of mowing? 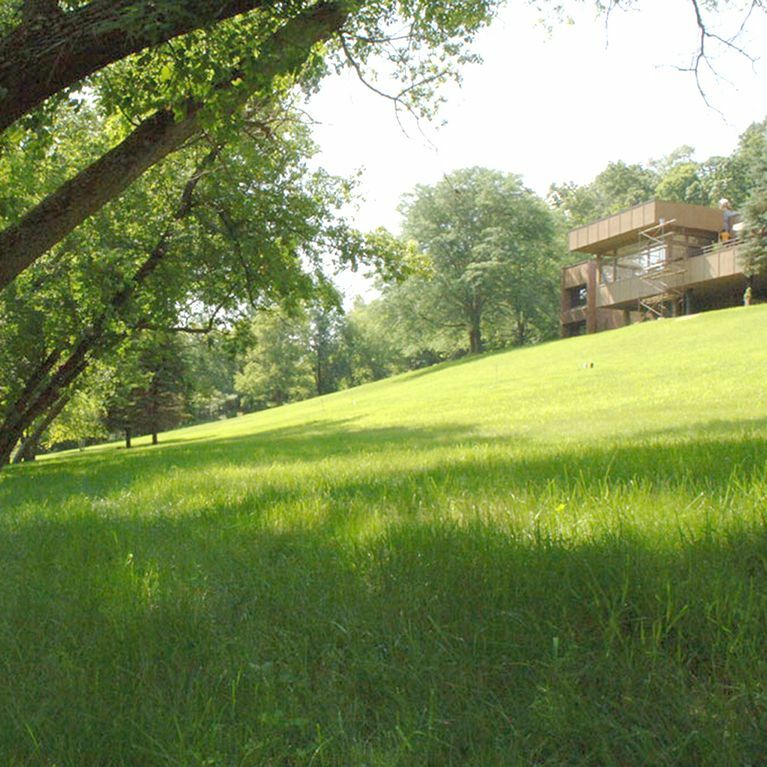 Try the responsible alternative to energy-intensive turf lawns. FREE SHIPPING! 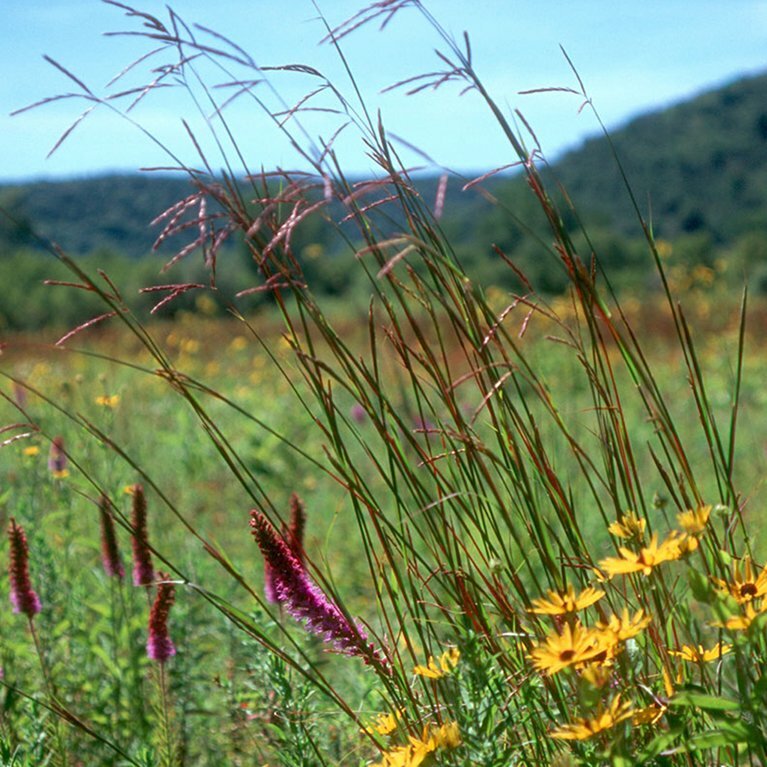 Affordable grasses add striking color and texture, while providing year-round cover and food for wildlife. 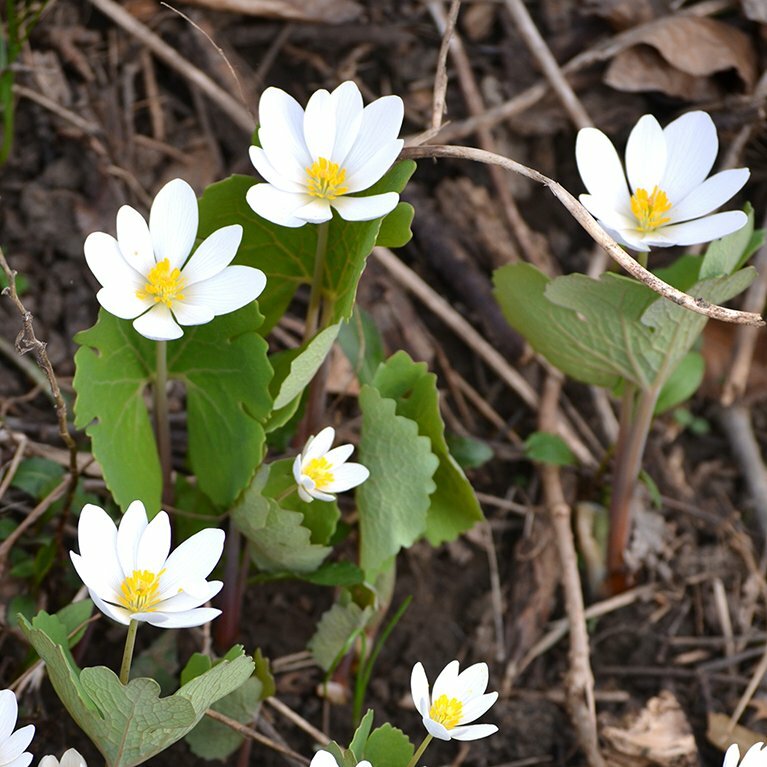 Early-bloomers are very important food sources for the first pollinators that emerge after winter's retreat. As summer fades, color doesn't have to. 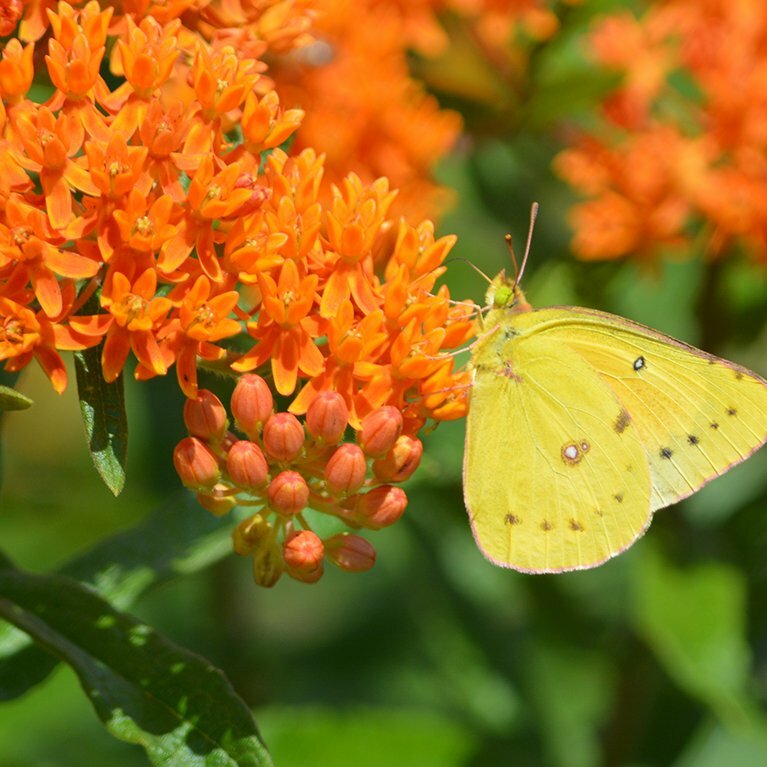 Fall-bloomers also serve as critical food for migratory birds & butterflies. 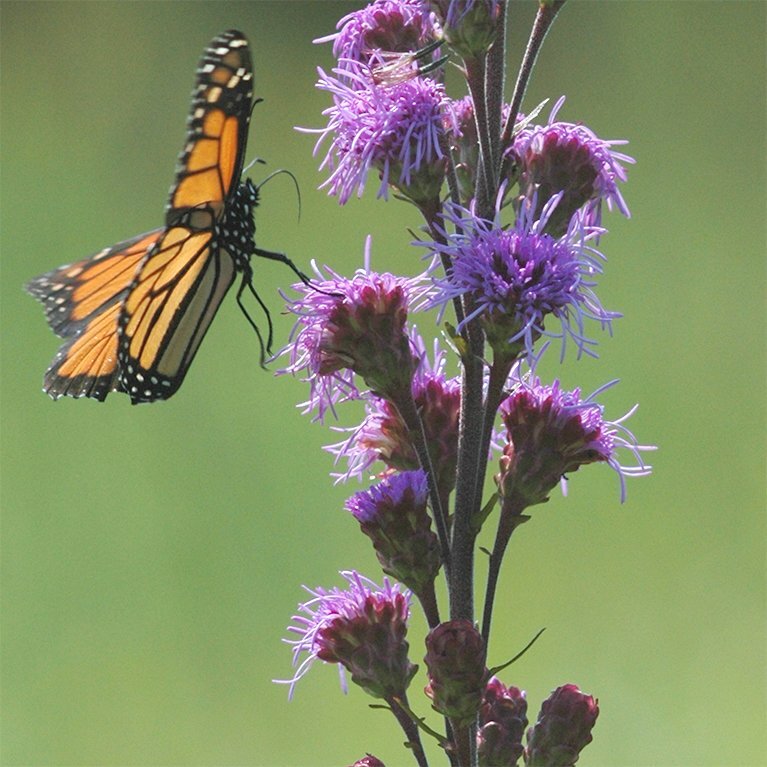 Our threatened Monarch needs more than Milkweed. 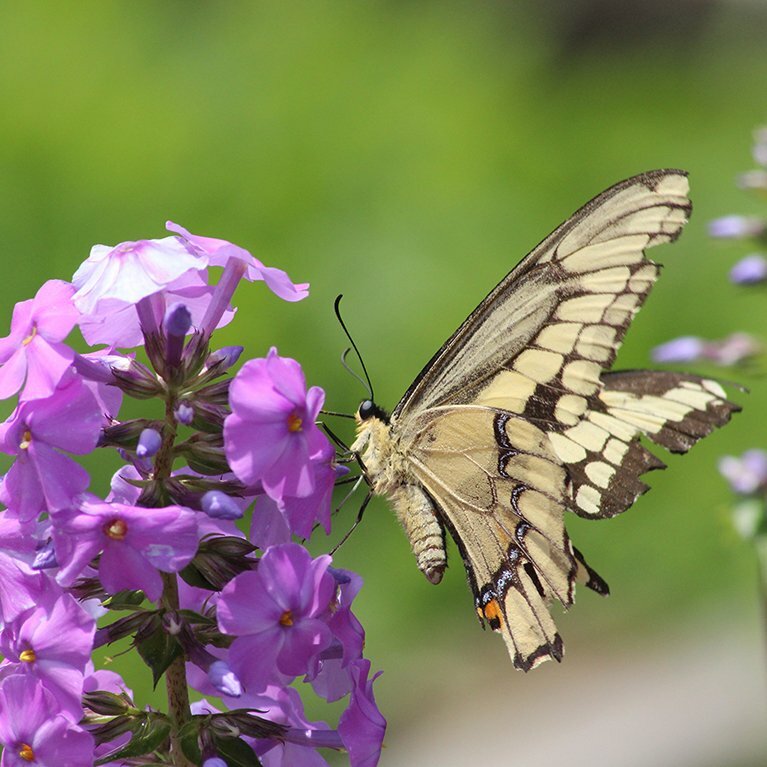 Choose wildflowers that provide nectar spring through fall. 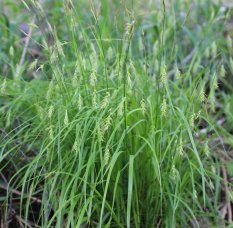 You may remember these plants in abundance when you were young. It's your time to bring them back. 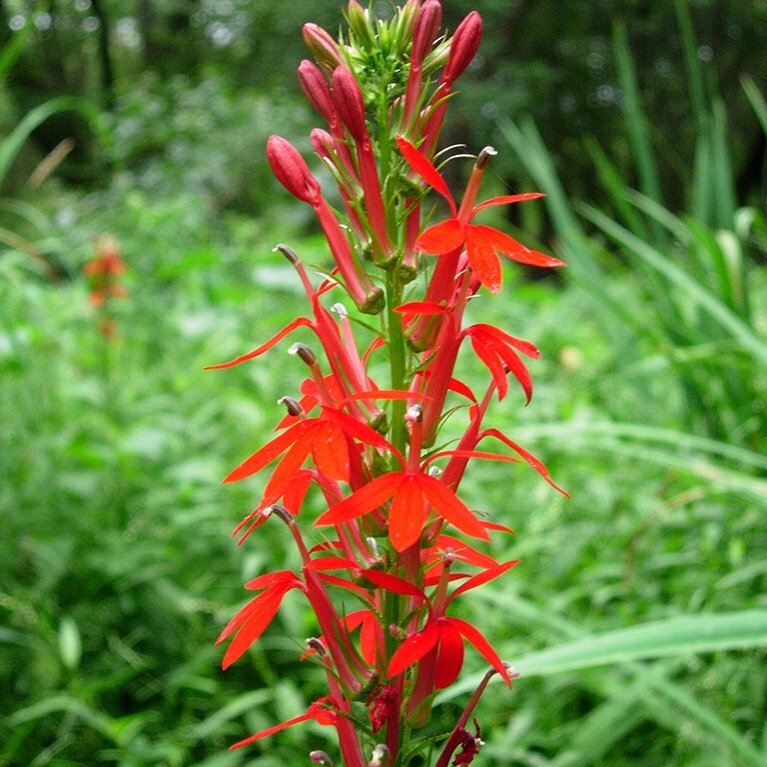 Perky and showy but also tough and drought-tolerant, these natives will brighten your dry area. Your water's edge can be transformed from a troublesome muddy spot into a beautiful, ecologically-sound space. 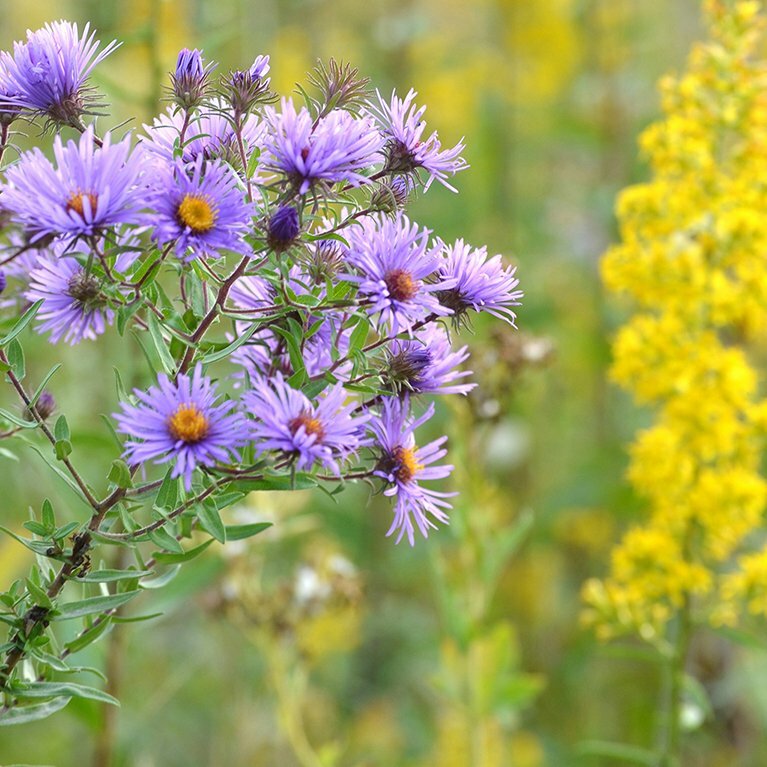 We offer FREE custom seed-mix design services to help you re-create a bit of nature's prairies. Our catalogs are designed for gardeners of all experience levels.